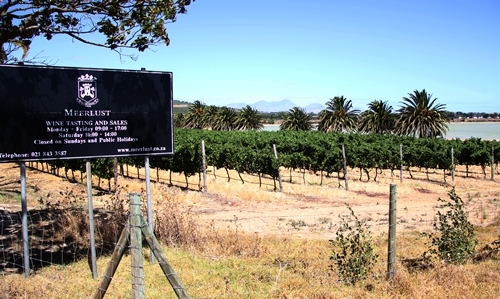 The South African Estate Meerlust is situated in the Stellenbosch Valley appellation, and is one of the first wineries on your right when taking exit 33 on N2 towards Stellenbosch from Cape Town. 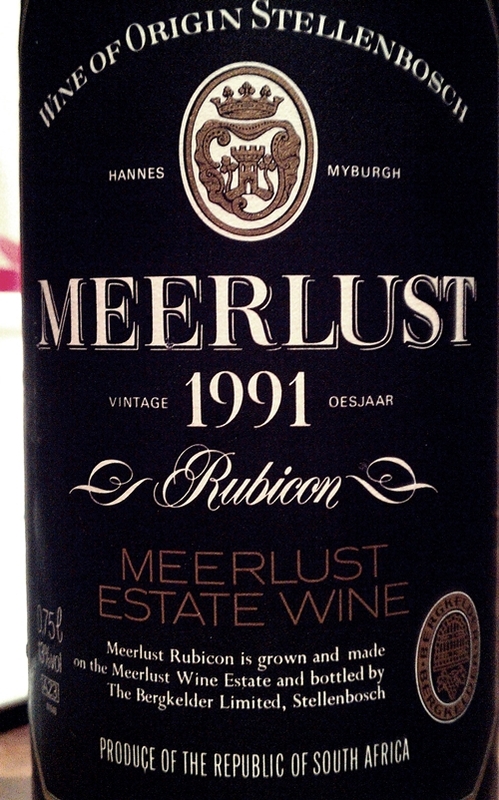 Meerlust is one of the classic Stellenbosch producers, and has long been famous for their excellent Cabernet based blend “Rubicon”. It is a serious wine that often demands a decade or more to mature. 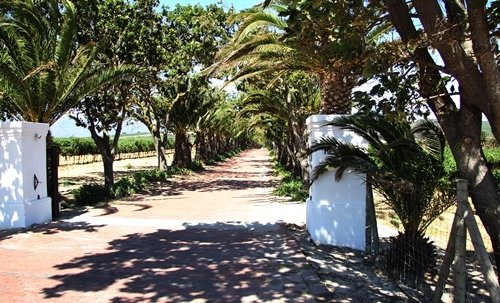 Their iconic palm tree avenue scores truly high on the ambience factor. 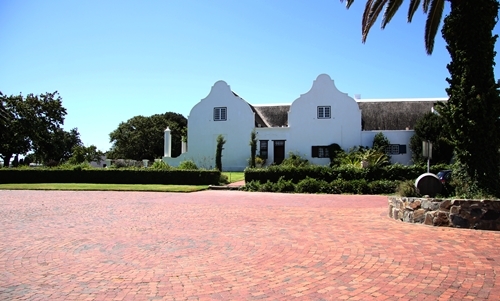 Meerlust’s tasting room is at their historic Cape Dutch styled Manor House. 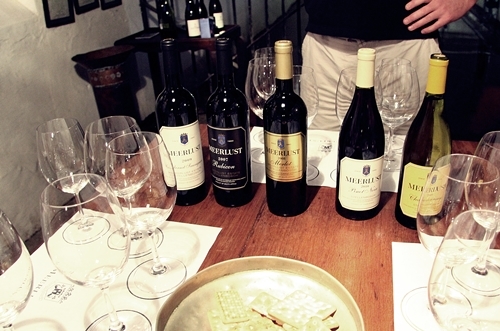 In their cellar for a private tasting hosted by Winemaker Chris Williams. Here (left to right) 2009 Meerlust Cabernet Sauvignon, 2007 Meerlust Rubicon, 2008 Meerlust Merlot, 2010 Meerlust Pinot Noir, and 2009 Meerlust Chardonnay. Here their charismatic and humble Cellar Master/ Winemaker Chris Williams. 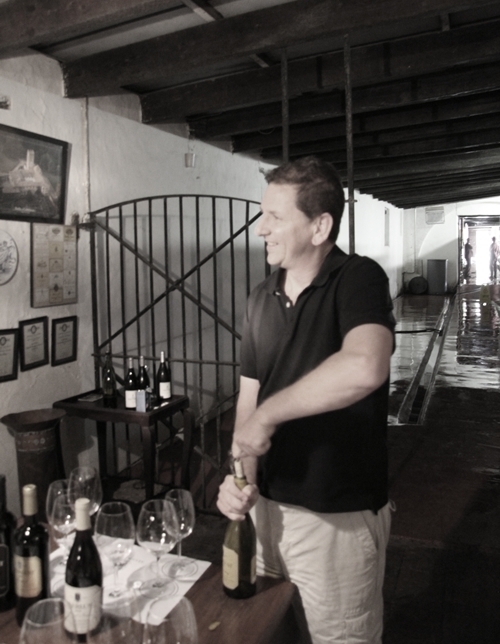 He started as assisting winemaker (1995-2000), and after 4 years elsewhere (where he opened up his own boutique operation “The Foundry” and was involved in Delaire’s extravagant refurbishment) he was offered the responsibility and has since 2004 been in charge. 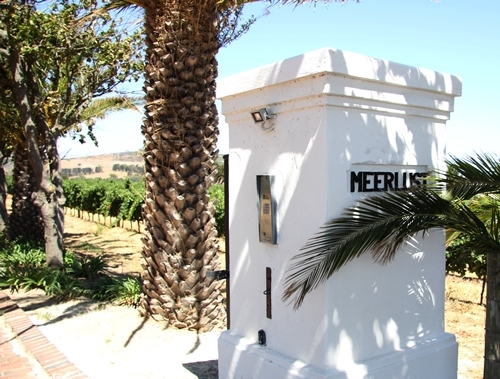 He ensures the continuation of Meerlust’s timeless style and supreme quality. While discussing South African top Cabernets and their ability to age, Chris quickly opened a more than 20 year old example of their Icon Rubicon. A wine that had developed unique complex layers. It held impressive character and potency for its age, revealing its ability to cellar even further. Moreover did it possess a rare intensity and concentration. The initial fruit has to be of very unique quality to cellar this long, defining why the Rubicons are collected and popular across the globe. Chris started his own label The Foundry in 2000. 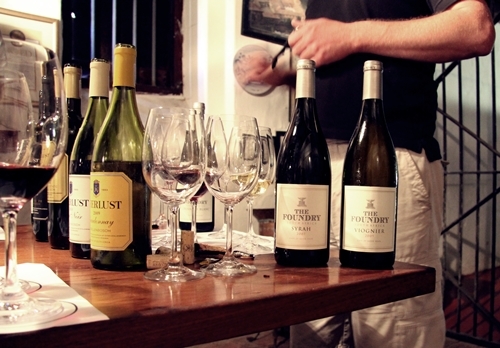 Having also a great interest in Rhône wines, he decided to make a very personal project with James Reid sourcing grapes from small parcels of vine spread across the Cape regions. Bar is already set high with the staggering quality available in his current 4 releases of Rousanne, Grenache Blanc, Viognier and Syrah. 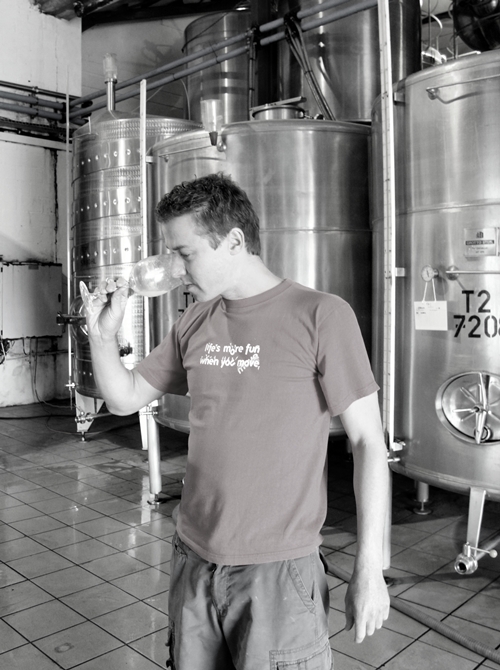 Yet he intends to also make single vineyard releases from different appellations/terroirs in the future. 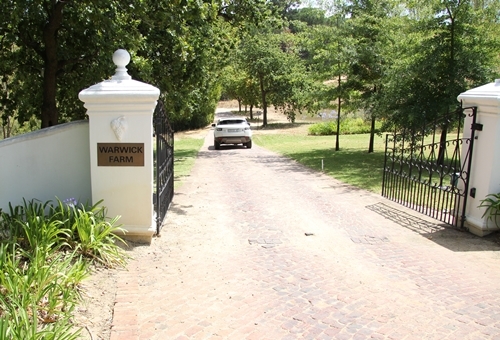 The Warwick Estate is found in the Greater Simonsberg appellation of Stellenbosch, past Kanonkop, in the north-eastern corner of Stellenbosch. 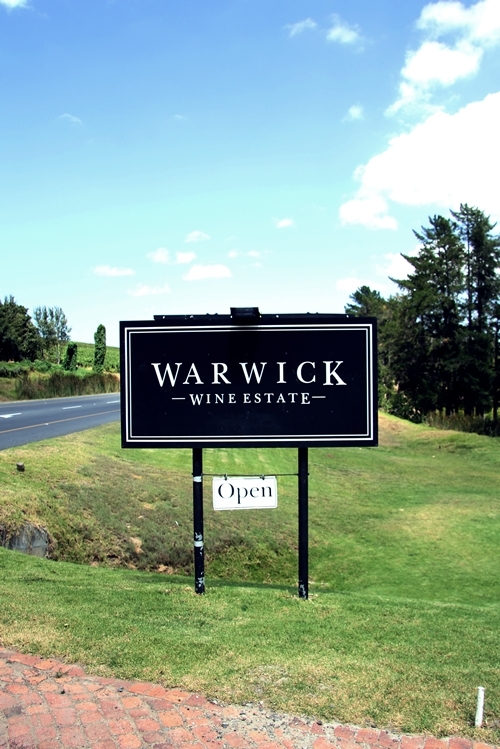 Warwick offers not only tastings of their exceptional Bordeaux inspired blends, such as “Trilogy”, “The Black Lady” and “Three Cape Ladies”, they also serve lunch and offer wine adventures in their unique “Big 5 Vineyard Safari”. 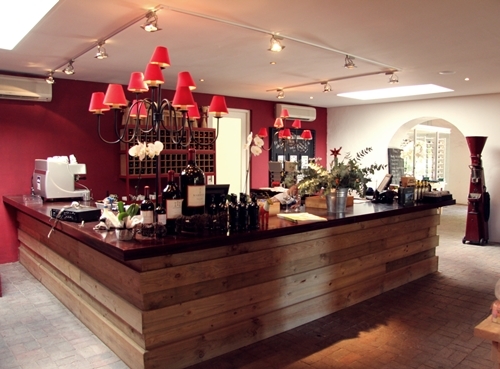 Here their winemaker and hostess(right), captured at the entrance to Warwick’s Cellar Door. 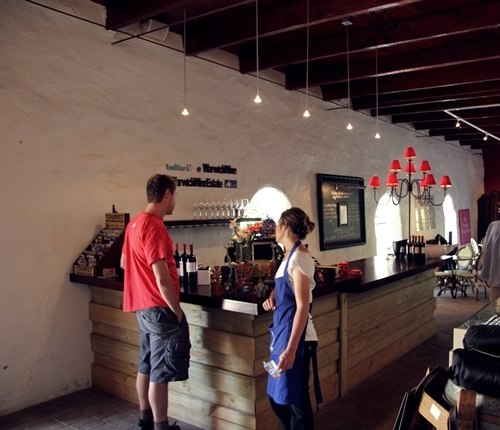 Nic van Aarde is their young talented and enthusiastic winemaker. He is here seen with a juice sample of the just harvested Sauvignon. 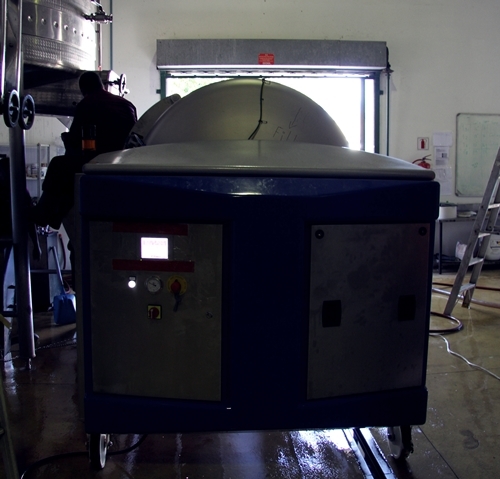 Serious equipment as the advanced automatic grape destemmer, gives their only roughly filtered wines the most gentle destemming currently possible. 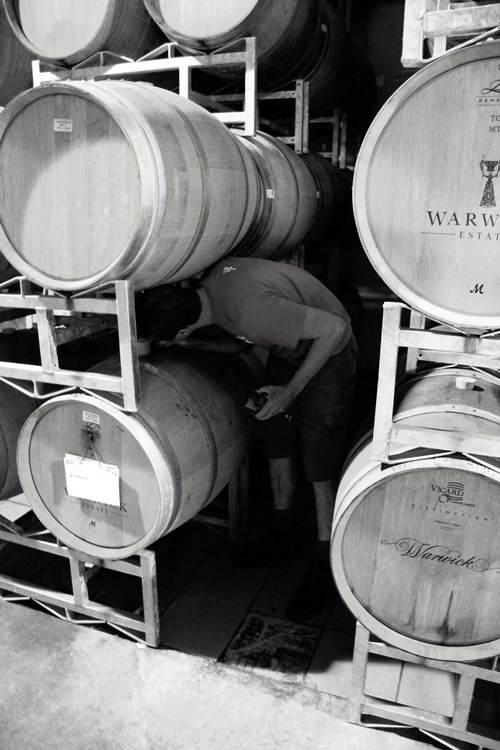 Barrel sampling Cabernet Franc from 2011 with Nic van Aarde. 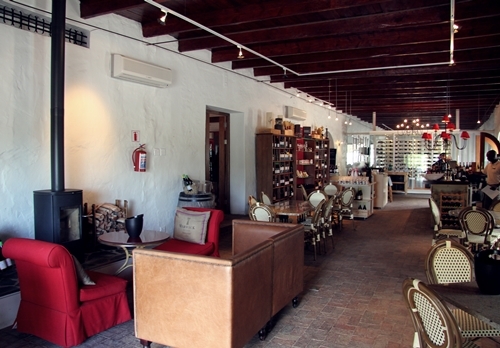 Warwick Estate has as most SA Cellar Doors chosen a warm inviting boutique hotel style. 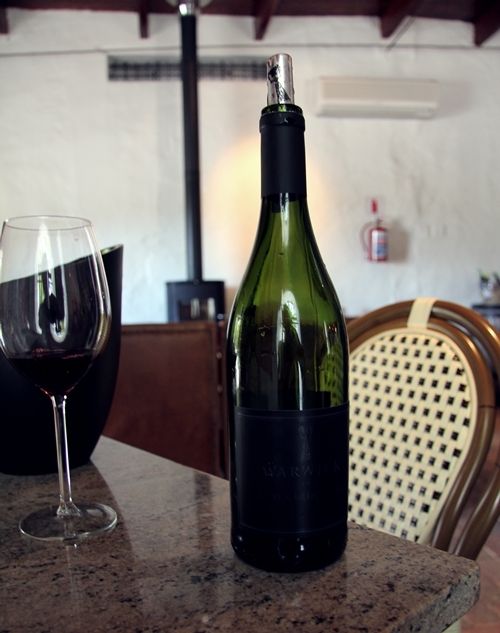 The tasting ended with the delicious newer addition 2009 Black Lady Syrah. Definitely a wine worth looking for, beside their also excellent blends such as Trilogy (Icon of Cabernet Sauvignon, Cabernet Franc and Merlot, matured 2 years on French oak, which has tamed the beautiful wine with intense flavours of prunes and dark chocolate).